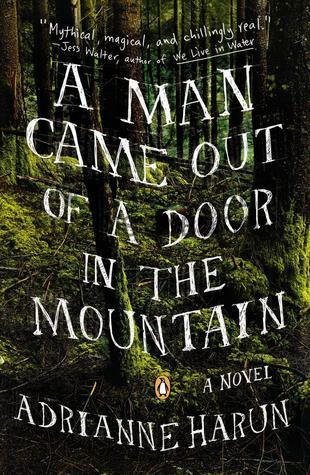 A Man Came Out of a Door in the Mountain tells a story in vignettes about Leo Keutzer, a teenager in a remote logging town in British Columbia, along with his friends: Bryan, Ursie, Tessa, and Jackie. All coming from painful backgrounds, the group is just trying to get by any way they can find. Jackie and Ursie take on demanding jobs, Tessa cares for a large, ungrateful family, Leo cares for his dying Uncle Lud, and Bryan sometimes falls in with the wrong crowd. But that summer, the devil finds his way into the lives of all of the characters, making them do things they would never normally do. Hanna Swan is pale, milky white, and entrances the tough Jackie. Kevin Seven shows up one day out of nowhere and bewitches Ursie, but no one can remember the conversations they have with him. When these mysterious strangers show up, and Jackie doesn’t come home from a walk along the highway by the woods, the path where girls are known to disappear, the group’s summer takes a turn none of them could have foreseen. This book is definitely unlike anything I’ve read before, from the characters and their backstories to the landscape, which seems to be a character in itself. It was also gritty in a way I haven’t really experienced before, but it wasn’t in a bad way, especially because the book was inspired by real disappearances of real Native girls in British Columbia. However, the grittiness was lightened by the emails from Leo’s physics professor, as well as by the strong bonds between all of the friends. I wasn’t CRAZY about this book. It moved really slowly for me in some places, despite reading reviews that said the opposite. It apparently takes place over the course of two days, but feels like much longer than that. Bryan’s planning to take on the local meth dealer, and Ursie’s training to learn card tricks with Kevin Seven seemed never ending. However, the dynamics of the other characters, Hanna Swann and Uncle Lud especially, really grabbed by interest. I didn’t love it, but it wasn’t BAD either. I would give this three stars, and recommend it to people who like some darker novels, as well as a slow building story enhanced by setting.